Radical Studios Founders Barry Levine And Jesse Berger Sign With CAA | Radical Studios, Inc.Radical Studios, Inc. EXCLUSIVE: Radical Studios has signed with CAA as the company builds itself in film, TV, publishing and interactive. The venture, founded by Barry Levine and Jesse Berger, has created print intellectual properties that already have translated to other platforms. 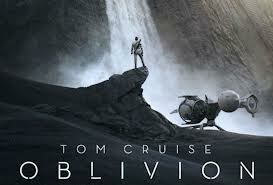 It has more than 40 titles and 1000 characters, and came out of the gate with the Tom Cruise-starrer Oblivion – which began as a Radical Publishing graphic novel from an idea by Joseph Kosinski, who directed the film. Radical has wrapped its second intellectual property transfer, the Brett Ratner-directed Hercules with Dwayne Johnson for MGM/Paramount, which the latter releases next July. That was based on the Radical Publishing comic book series Hercules: The Thracian Wars. Radical recently set a multimillion-dollar China-based joint venture with Le Vision Pictures which enables the company to access stories, talent and distribution through the partnership. First project in that venture is Mandate Of Heaven, which was formerly developed under the title Clans Of The Sacred Stone. Radical Studios is in pre-production on the horror/thriller Abattoir, which is being made through its Dark Web genre banner. The film, based on the comic book miniseries creation of Saw II helmer Darren Lynn Bousman, is gearing up for an early 2014 production start. The Radical partners expect the CAA alliance to strengthen its project packaging capabilities, and first up is Damaged, a graphic novel conceived and developed by Avatar star Sam Worthington and his Full Clip Productions partners Michael Schwarz and John Schwarz, along with Thunder Road’s Basil Iwanyk. They are producing with Radical and they have a script by John Glosser that is currently out to directors. Schiff Company’s David Schiff continues to manage Radical.